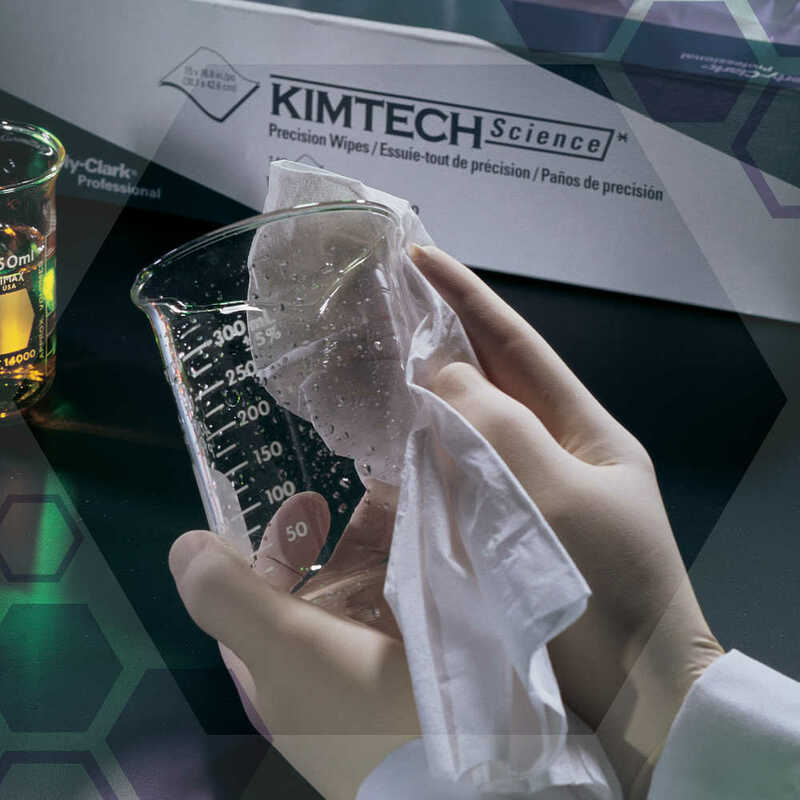 Kimtech Science Precision Wipes are value-conscious tissue wipers that offer reliable wiping performance for delicate tasks. 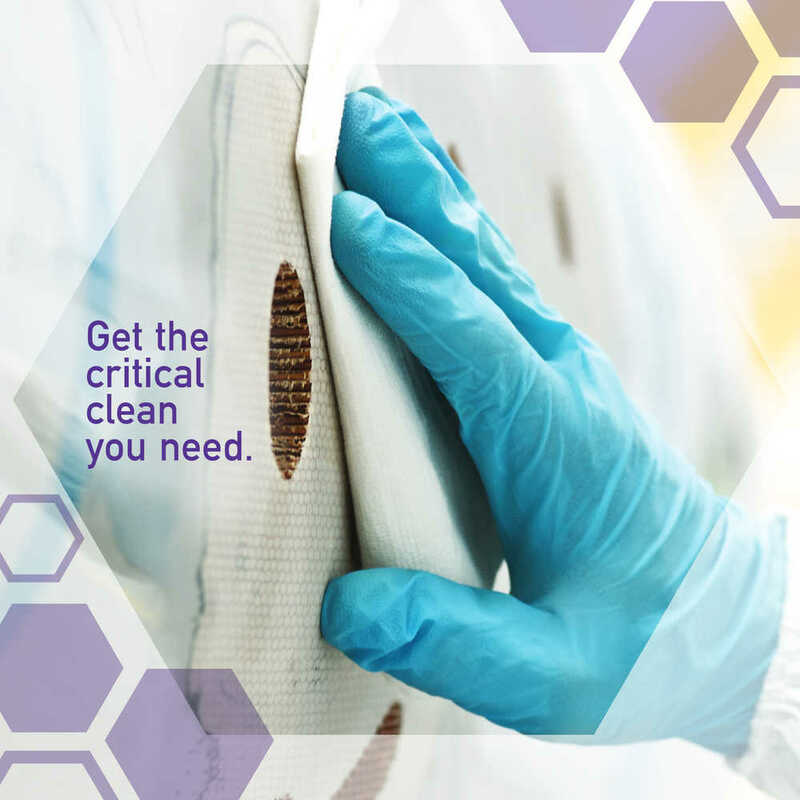 They are 1-ply, generously sized (14.7” x 16.6”), soft and absorbent. 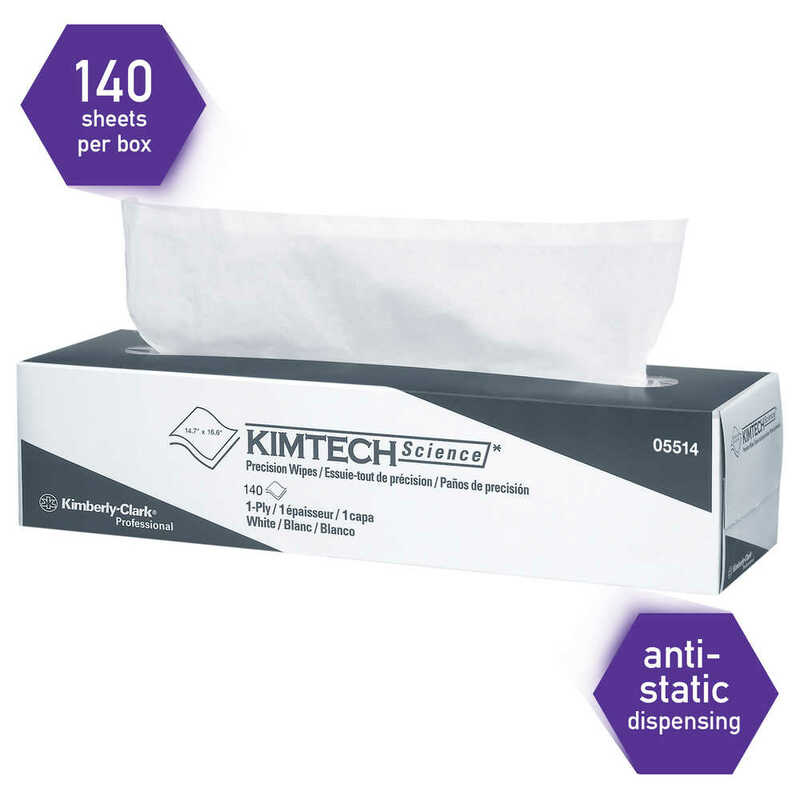 They are designed for general cleaning tasks and feature the anti-static (“anti-stat”) dispensing system. 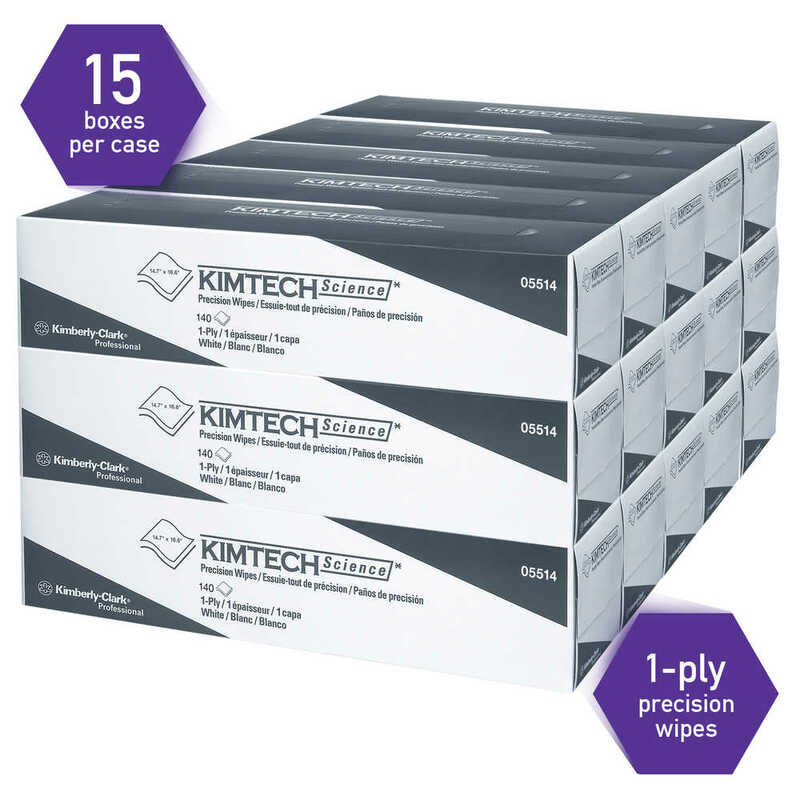 These versatile, value wipers useful for polishing glass and wiping surfaces. 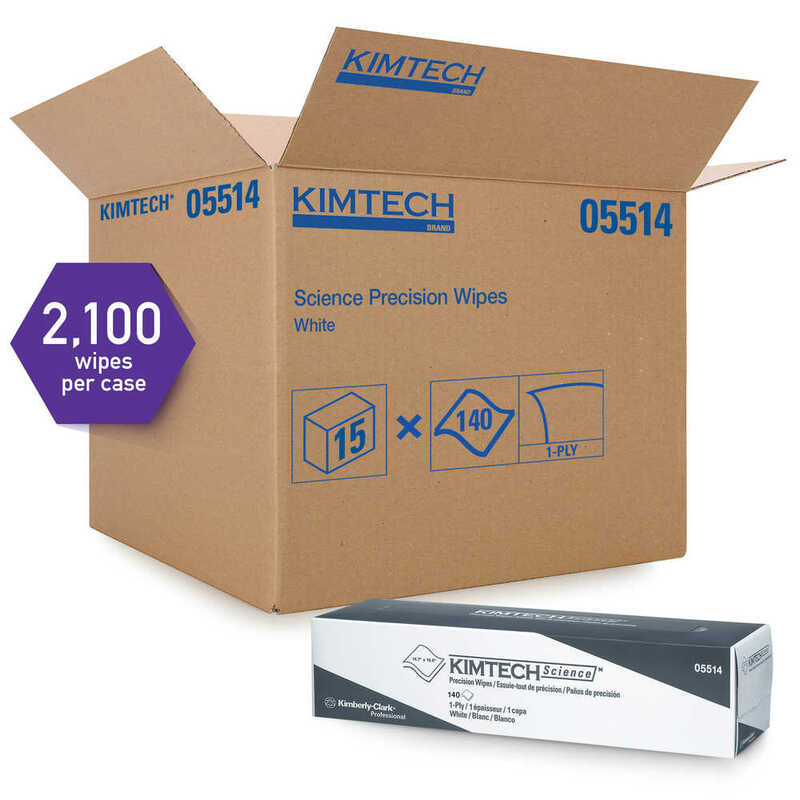 The Pop-Up Box is coated to keep wipes clean and dry and is designed for easy, one-at-a-time dispensing. 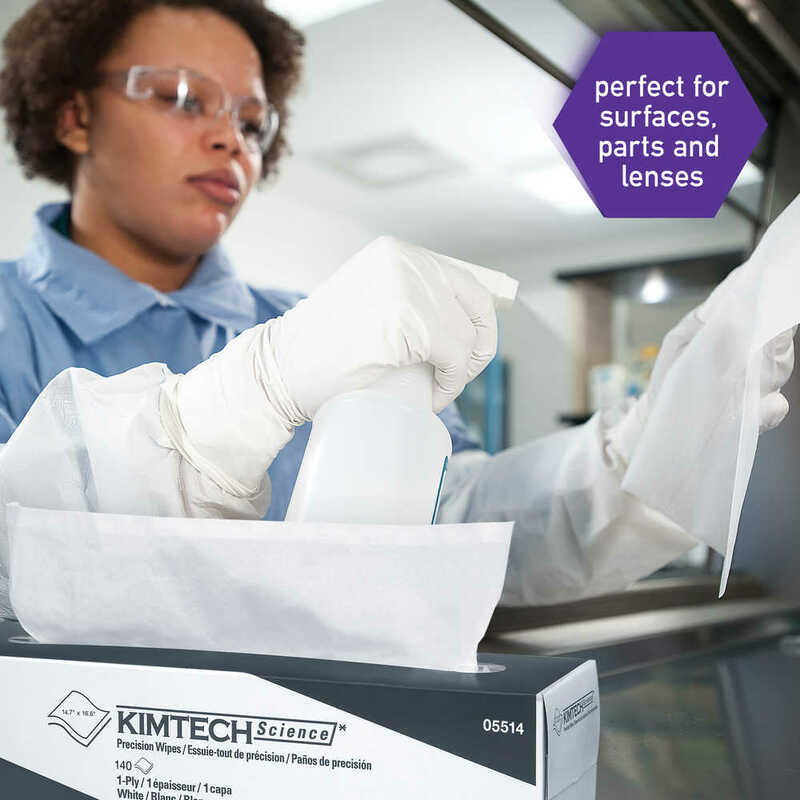 Kimtech Science Precision Wipers are economical choice for your general cleaning tasks, including instrumentation, surface, parts and lens cleaning.